However with "Orion", or what has now been revealed to be Microsoft Dynamics CRM 2013, we can understand the secrecy. 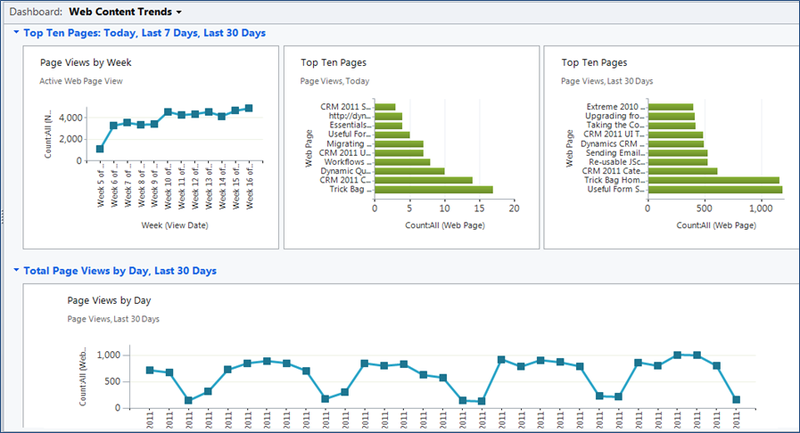 However, in the last 2 years a lot has changed in the world of Dynamics CRM. Cloud based solutions have become a huge focus for Microsoft (step forward Office 365) and this has had an impact on CRM. In addition, Dynamics CRM 2011 achieved what so many other CRM packages had tried to do and failed.....it took CRM, or even xRM, as a concept to a much wider audience. To have an industry leading line of business applications, completely customised to your business processes, you no longer needed to have an office in central London. Anyone, from an international banking group to a small animal charity, could easily and quickly have these solutions at their fingertips. This however presented some challenges. With a wider audience came a wider demographic of users and with that some resistance to the way a standard user would navigate through the system. 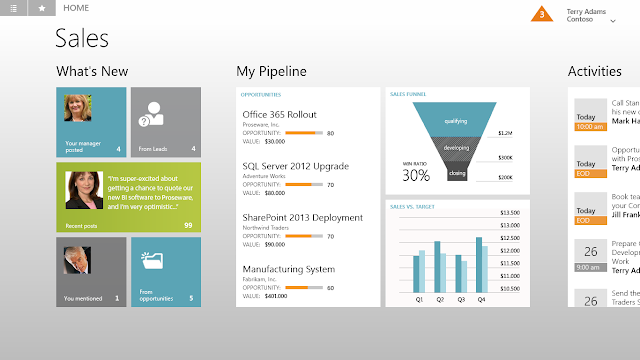 In response, Dynamics CRM 2013 takes this to another level. The UI has been completely redesigned and is focused firmly on empowering users to follow the business processes built within the system. Using the new Process Bar adminstrators can enter custom steps that match the business process of the organisation and as such guide users through this process in a much clearer fashion. Dependencies can be setup so that users will be unable to progress without completing certain tasks. Your system will still provide a 360-degree view of your business, but for users who need to be focused on the road ahead, it will achieve this simply and clearly. In addition, Microsoft is pushing the mobile market. Free custom apps for Windows 8 and the iPad will be released providing both beautiful and functional methods of using CRM on the go. 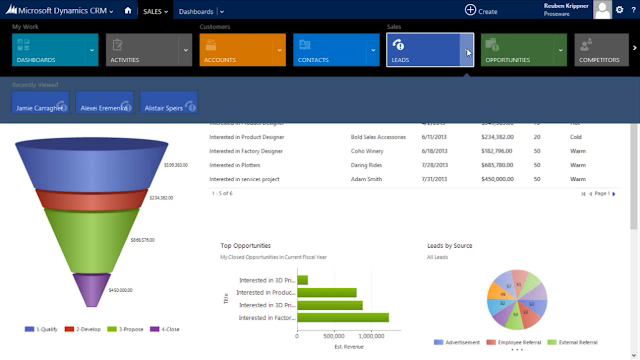 This barely scratches the surface of the changes in Microsoft Dynamics CRM 2013 and we will discuss these in future posts here, but one thing is clear: Microsoft Dynamics CRM isn't just here to stay...it is here to dominate the marketplace. Microsoft are already releasing details of the Q1 service update ("Mira"...another codename!) and what it includes so watch this space.